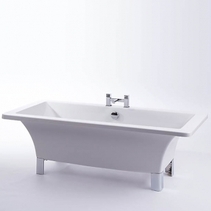 Roll Top Baths are descendants from the traditional 19th century Slipper Bath; a phrase which is also still used. They were originally made of cast iron and coated with enamel. 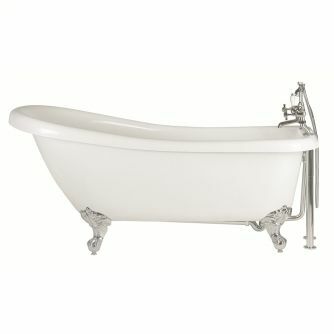 Variations on the same theme include, Double Slipper Baths, Pedestal Baths and Double Ended Baths. While some modern versions still have claw feet the next generation, as it were, include a more modernist look and squared off or shaped feet. A modern twist on a design classic, the Loreley Roll Top Bath can be installed with modern chrome feet. Used in the tight type of bathroom this can make a dramatic statement. 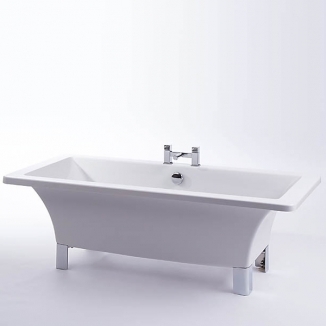 Freestanding Roll Top Baths , as seen here in the Milano Freestanding Slipper Bath, are proving to be a very popular and practical bathing solution for bathrooms in the UK. 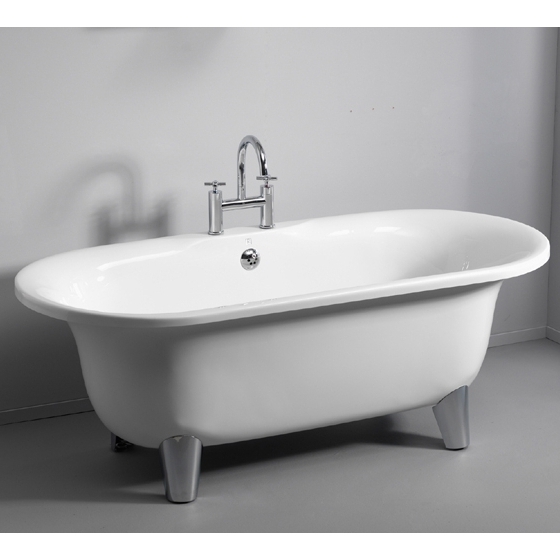 This particular Slipper Bath is less than £350 and includes a choice of Ball & Claw, Large Claw or Modern feet. For a similar price to that Slipper Bath above, you have the option of a combination of the two baths above. As with the Slipper Bath, you have a traditional style, but a roll top version with central taps and shower head allows for free-standing chrome-work. 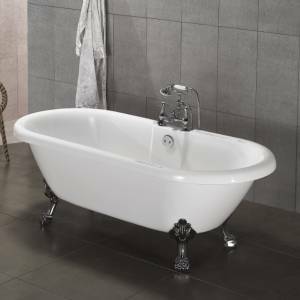 At less than £200 this style of Free Standing Bath has its heritage in traditional Roll Top styling, but is clearly a modern bath with chrome feet.